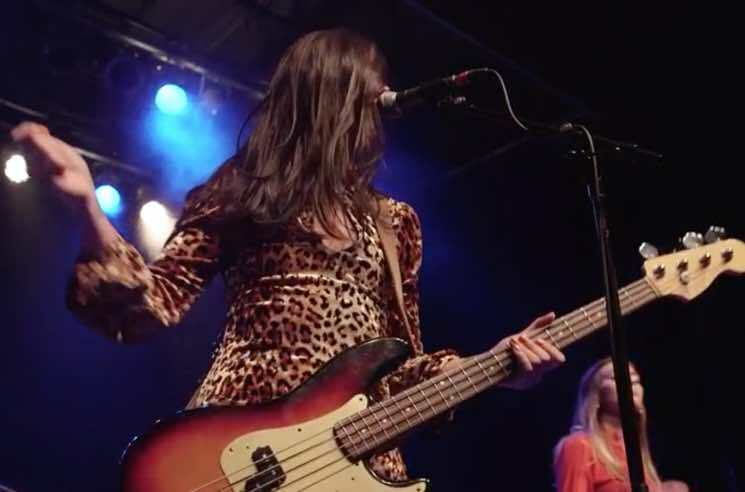 The Beaches have unveiled a brand new live video for "T-Shirt," featuring footage from a recent show in their hometown of Toronto. The clip was captured at the Phoenix Concert Theatre late last year, during their opening set for Death From Above. "The Phoenix show was one of our last ones on the Death From Above tour," lead singer and bassist Jordan Miller tells Exclaim! "And it was one of the first times we could hear people singing along to the song 'T-Shirt,' which would wind up becoming our second single. It was super rad." Since then, the Beaches have completed a cross-Canada headlining tour of their own, and they've got some big shows still coming up, as they will perform at a slew of festivals this summer. Check out the full list of upcoming dates below, then get acquainted with the Beaches' live performance style by checking out the clip for "T-Shirt."